Silent Valley is located at Mukkali, Mannarkkad, Padavayal in Kerala, at the core of the Nilgiri Biosphere Reserve . 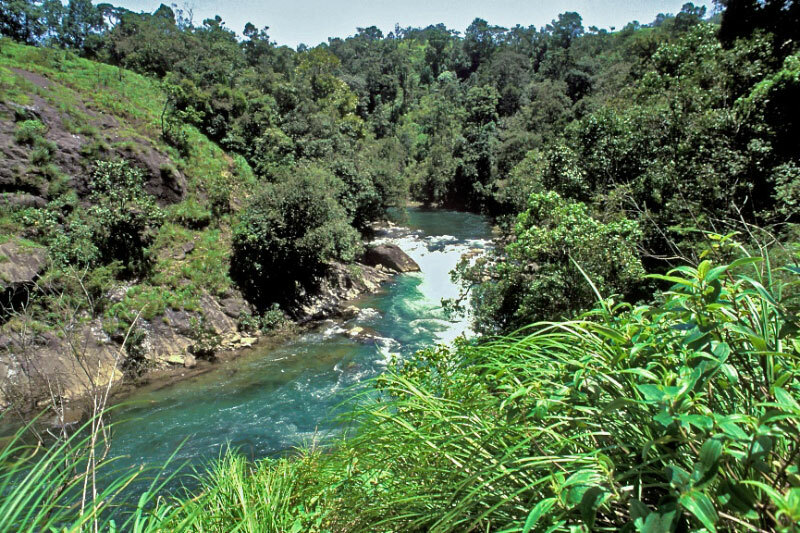 In 1976, Kerala State Electricity Board planned a construction of a 240 MW hydroelectric project, the Silent Valley Hydro-Electric Project (SVHEP), over the Kunthipuzha River flowing through the Palakkad and Mallapuram districts, intended to submerge 8.3 sq km of forest land . The plan for construction of the dam, announced already in 1973, attracted attention of environmentalists not only in Kerala state but also all over the globe. Romulus Whitaker, founder of the Madras Snake Park and the Madras Crocodile Bank, was probably the first person to draw public attention to the small and remote area. Also the poet activist Sugathakumari played an important role in the Silent Valley protest and her poem "Marathinu Stuthi" ("Ode to a Tree") became a symbol for the protest from the intellectual community and was the opening song/prayer of most of the "save the Silent Valley" campaign meetings. People were concerned about the fact that the construction of the dam will submerge vast amount of land and will severely destroy the rich ecological flora and fauna of that region. People expressed their concern and it triggered a wave of protests through the different mode of protest all across the state. May environmentalists, scientists, concerned people and common people also joined the demonstration. The protest from the Kerala state was further intensified when people from all over the country joined the protest. Soon it became India's major and perhaps the first environmental movement with a far reaching consequence . In 1978 Indira Gandhi, Prime Minister of India, approved the project, with the condition that the state government enact legislation ensuring the necessary safeguards. Also that year IUCN (Ashkhabad, USSR, 1978) passed a resolution recommending protection of lion-tailed macaques in Silent Valley and Kalakkad and the controversy heated up. In 1979 the Government of Kerala passed legislation regarding the Silent Valley Protection Area (Protection of Ecological balance Act of 1979) and issued a notification declaring the exclusion of the hydroelectric project area from the proposed national park. In 1982, a multidisciplinary committee with Prof. M. G. K. Menon as chairman and Madhav Gadgil, Dilip K. Biswas and others as members, was created to decide if the hydroelectric project was feasible without any significant ecological damage. Early in 1983, Prof. Menon's Committee submitted its report. After a careful study of the Menon report, the Prime Minister of India decided to abandon the Project. On September 1, 1986 Silent Valley National Park was designated as the core area of the Nilgiri Biosphere Reserve. The area is now considered as 'hot spot' . The 'Save Silent Valley' movement was a grand success for all time environmental movement in India. Beside this, it is a source of inspiration for similar agitations. The ‘Narmada Bachao Andolan’ and the ‘Tehri Dam’ protests are highly motivated by that campaign . Project Details Silent Valley Reserve Forest can be classified under four forest types. The types are West-coast tropical evergreen forest (600 to 1100 m), Southern subtropical broad leaved hill forest (1300 to 1800 m), Southern montane wet temperate forest (above 1900 m) and Grassland. According to the Kerala Forest and Wild Life Department, the rich flora of the valley include about a 1000 species of flowering plants, 107 species of orchids, 100 ferns and fern allies, 200 liverworts, 75 lichens and about 200 algae. Beside this it also have about 34 species of mammals, 292 species of birds, 31 species of reptiles, 22 species of amphibians, 13 species of fishes, 500 species of butterflies and moths, besides a multitude of lower forms of animal. The Valley has a natural boundary from all sides with high and continuous mountains. So the area is closed and shielded from the extremes of climate as well as anthropogenic interventions. Hence it remains an ecological island with a special micro climate. According to the Kerala Forest and Wild Life Department ‘the Silent Valley National Park is probably one of the most magnificent gifts of nature to mankind, a unique preserve of tropical rain forests in all its pristine glory with an almost unbroken ecological history’. A river named ‘Kunthi’ descends from the Nilgiri Hills above an altitude of 2000 m and flows throughout the valley and finally rushing down to the plains through a deep gorge . The Kerala Minister for Electricity called The Pathrakkadavu dam (PHEP) an "eco-friendly alternative" to the old Silent Valley project. The PHEP was designed as a run-off-the-river project with an installed capacity of 70 MW in the first phase (105 MW eventually) and an energy generation of 214 million units (Mu) with a minimal gross storage of 0.872 million cubic metres. The claim was that the submergence area of the PHEP would be a negligible .041 km2 compared to 8.30 km2 submergence of the 1970s (SVHEP). Development of Alternatives As the Silent Valley is rich in natural habitat, people from different corner of the society put immense pressure to the concerned official to stop the project. Although the campaign did not have any centralized planning, but the way the protest was organized can be considered as ‘an ecological Marxists resort to Gandhian techniques to fight against environmental injustice’. This way of protest was highly effective and due to the sustained pressure exerted on the government by citizens. People used every possible way of protest available at that time. It was letters to the editors of newspapers, seminars, widespread awareness programmes, and the petitions and appeals in court and other high offices. Using all these means the people were able to put pressure on the government and it proved ultimately successful. In 1986 Silent Valley was declared a National Park. The lessons from this inspiring and hard-fought campaign are still relevant today [3, 4]. Why? Explain briefly. Looking at the public demand, in January 1981the then prime minister of India Indira Gandhi declared that that Silent Valley will be protected. In November 1983, the hydroelectric project was stopped. In 1985, the then prime minister of India, Rajiv Gandhi inaugurated the Silent Valley National Park. The area is now considered as 'hot spot' . The 'Save Silent Valley' movement was a grand success for all time environmental movement in India. Beside this, it is a source of inspiration for similar agitations. The ‘Narmada Bachao Andolan’ and the ‘Tehri Dam’ protests are highly motivated by that campaign . Manoharan, T. M. Silent valley: whispers of reason. Kerala Forest Dept. in association with Kerala Forest Research Institute, 1999. Guha, Ramachandra. "Ideological trends in Indian environmentalism." Economic and Political Weekly (1988): 2578-2581. Economic and Political Weekly (1979): 1117-1119. 7th July 1979 - Parameswaran, M. P. "Significance of Silent Valley." 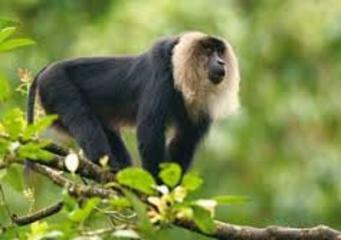 The lion-tailed macaque Because of concern about the endangered lion-tailed macaque, the issue was brought to public attention. Other Comments Despite the original project was scrapped, in 2001 a new hydro project (the Pathrakkadavu dam -PHEP-, of 64.5 m high and 275 m long) was proposed, just 3.5 km downstream of the old dam site at Sairandhiri, 500 m outside the National Park boundary. 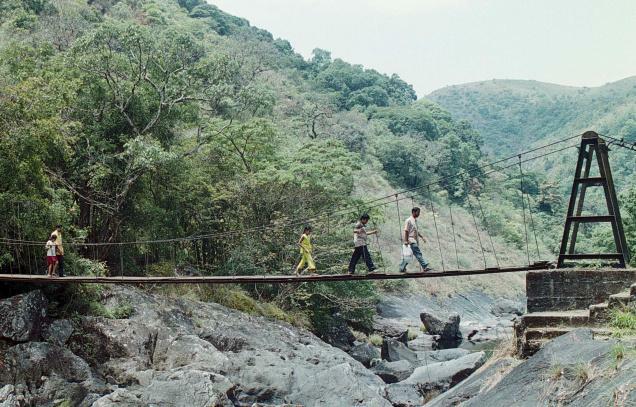 The Kerala Minister for Electricity called the project an "eco-friendly alternative" to the old Silent Valley project, claiming that the submergence area of the PHEP would be a negligible, only 0.041 km2 compared to 8.30 km2 submergence of the 1970s' SVHEP. From January to May 2003, a rapid Environmental Impact Assessment (EIA) was carried out by the Thiruvananthapuram-based Environmental Resources Research Centre and its report was released in December 2003. The EIA study team claims that the forest loss due to the project will be just 22.16 hectares. However, the report was critizised by engineers and environmental scientists from the River Research Centre (RRC) and the Bharathapuzha Samrakshana Samithy. They said that the hydrological data had been fabricated and the stream flow calculations were grossly over-estimated. They argued that the Joint Committee set up by the Government of India and Kerala in 1982 had estimated an annual run-off yield of the Kunthi river at 293 Mm3. However, the Water Resources of Kerala Report-1974 had put the annual average run-off from the Kunthi River at 202 Mm3. Also, "The estimated cost of the proposed project (Rs 247.06 crore at 1999 estimates) would now cost Rs 450 crore at the current schedule of rates. Taking into consideration the high (30 per cent of production) transmission and distribution (T&D) losses in the KSEB system, the actual power available for end consumption will be further reduced and much costlier." It took several years to come with the design and delimitation of a buffer zone; on 18 April 2007, Kerala Chief Minister V S Achuthanandan and his cabinet finally approved the Pathrakkadavu Hydro-electric project and sent it to the Union Government for environmental approval. The new project is still under negotiation.